← Bronco Flamingos on Guard! This is our patio at our campsite at Farragut State Park. It has been a great stay. We really like this park and have discussed that this might be a good place to park host. We asked the current hosts, who have all been doing this for years, and they agree it is the best place to be. The park is a former WWII naval training base so there is lots of room and lots to see and do. 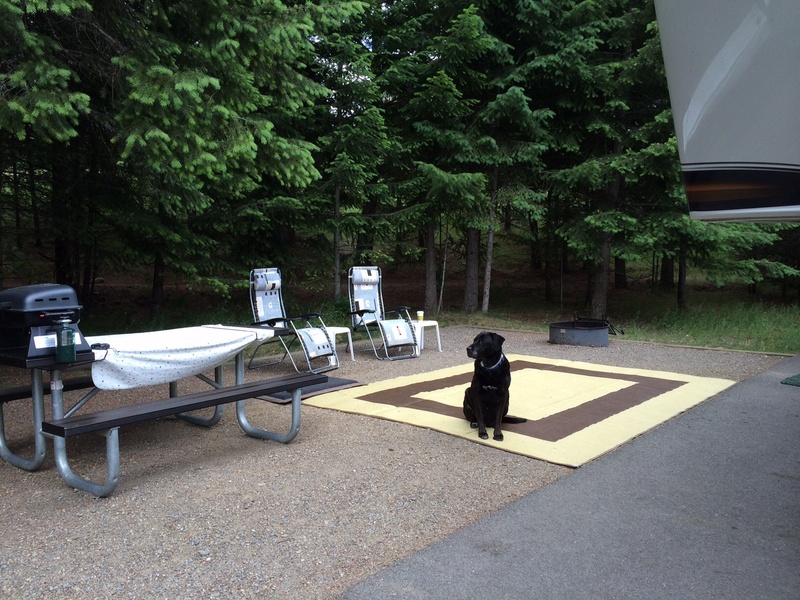 We would like to stay a few more days but, being summer, the campground is booked for the weekend. It does make us look forward to other times of the year when we can presumably come and go and stay places as long as we’d like. Plus, the good side of going is that we’ve got family and new adventures in Newport, just over the Washington border! Looks so inviting! Elko makes the picture. Enjoy family in Newport.